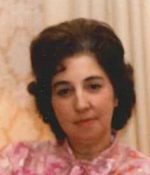 Remembering Della Brown | Remembering Della Brown | De Soto Obituary Search | Dietrich-Mothershead Funeral Home, Inc. Remembering Della Brown | De Soto Obituary Search | Dietrich-Mothershead Funeral Home, Inc.
Della F. Brown was born April 23, 1932 in De Soto, MO. She was the daughter of William and Lizzie (nee Sheperd) Coffman. She passed on July 15, 2018 at The Villa’s in De Soto, MO at the age of 86 years. 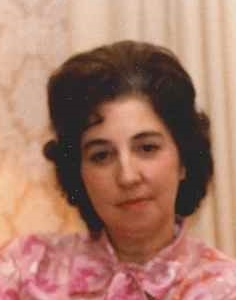 She is survived by her children, Randy Southerland, De Soto, MO and daughter; Elaine (Daniel) Buttino, Austin, TX; one sister, Ruth Wallen, De Soto, MO; and one brother, Jack Coffman, Hillsboro, MO; grandchildren, Patrick; Matthew (Brandi); and Angela (Tim); and seven great-grandchildren. She is preceded in death by her parents; one daughter, Deborah Southerland; siblings, Lena Minker; Lilburn Coffman; Ted Coffman; Elbert Coffman; Leslie Coffman; and Betty Kelso; one grandson, Michael. Della worked at ABZ Inc.